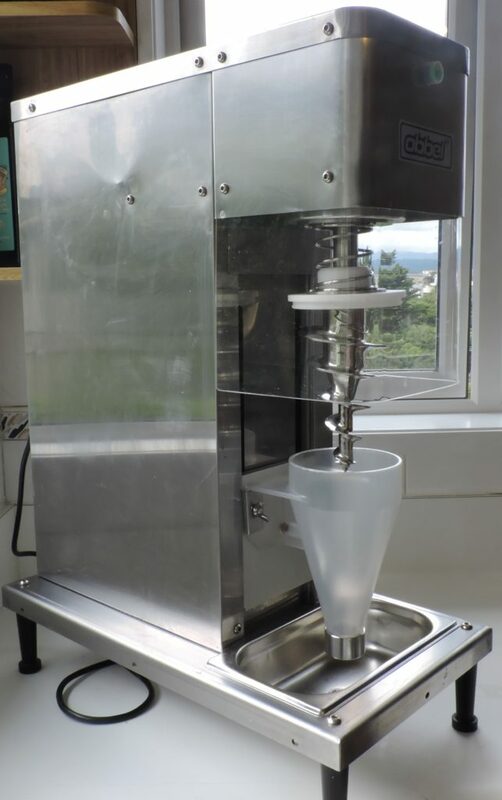 Our machine is an Obbel Frozen Yoghurt Ice Cream mixer. It is a big beast at 50kgs – two people are required to lift it! The motor has 750 watts of power which means it can blend and mix most ingredients that you might wish to try in your ice creams. It’s a commercial machine, designed to make delicious ice creams all day long. The machine uses a standard household power socket to run. It is delivered in a large pelican case (think strong suitcase on wheels) which has dimensions of : 85cm x 73cm x 45 cm. It works well with best with frozen fruit and ice cream. People sometimes ask if Our Little Beast is a soft serve machine. It’s a bit different to a soft serve machine. You put plain ice cream and flavourings (normally frozen berries, but can use anything really – nutella is good!) in the machine and it blends them together. 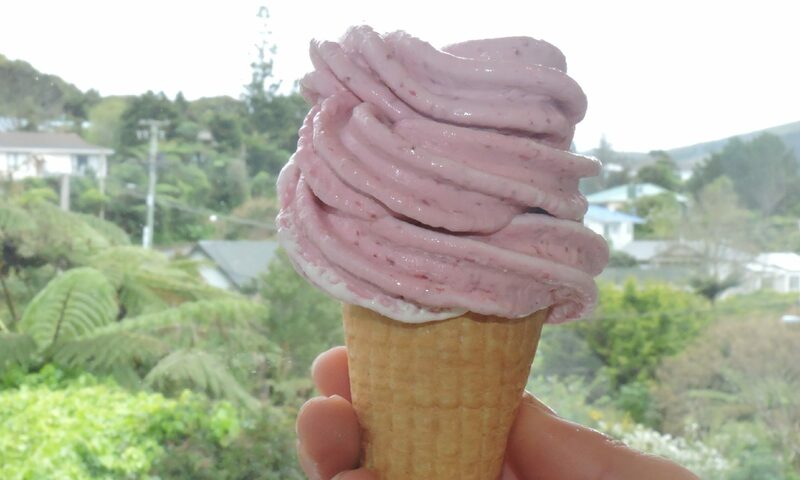 The resulting ice cream has a consistency similar to soft serve but with real berries mixed up in it. It’s really tasty, particularly with nice tangy berries like boysenberries or raspberries in it. Unlike soft serve, you don’t need to buy ice cream mixture from us and you can make as many different flavours as you like – ingredients are added to the machine one ice cream at a time. You can use any ice cream – normal vanilla ice cream or frozen yoghurt works well. Our Little Beast doesn’t have a freezing system, so you need a freezer to store the ice cream and berries up until you blend them in the machine.